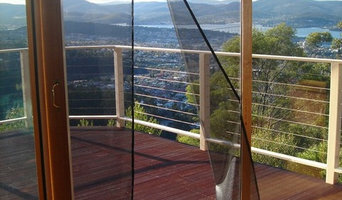 A family-owned, Australian company Flexiscreens® flexible insect screens are manufactured in Tasmania Australia, by the family business owned and operated by Carol & John McGrath. Built on ethical foundations Our insect screens are made in Australia under fair working conditions. After visiting factories filled with both adults and children working in unacceptable conditions it was evident that manufacturing Flexiscreens® overseas was not an option. We decided to keep production in Australia under ethical, safe and monitored conditions. Countries like India, Africa and China are exploited by the developed world as slave nations, we should open our eyes and reduce the ignorance. Sweatshops should not be a part of our modern world. Support Australian made, young people and the ethics you believe in and buy Flexiscreens® insect screens! Flexiscreens® is born Several Holidays to Tasmania from the Adelaide Hills eventually led us to a business manufacturing fly screens. We moved to Tasmania, Australia’s most southern state in August 2000 and commenced development work on the Flexiscreens® insect screen concept in October of that year. We found that the windows in our 1860’s cottage in the beautiful Huon Valley could not be screened with “standard aluminium” or rigid framed insect screens. After months working on a prototype, Flexiscreens® was born in 2001. Customer focused Give us a call on 1800 66 66 79, or +61 3 6224 5868 and talk to us for further professional advice. Our National and international sales are continually growing but this will not impact on our high quality product and our strong customer focus also remains paramount! We at Flexiscreens® draw on years of experience to create the best answer to your screening requirements. We are proudly Australian made and owned! Find a Cambridge, Tasmania door professional on Houzz. Scroll through this page to find door professionals in your area. Look at project photos and read reviews to find out how homeowners rate their service, expertise and product.